A Criminal Past will precede Mankind Divided’s story. Eidos Montreal’s Deus Ex: Mankind Divided will see its second story DLC, A Criminal Past, releasing later in February. 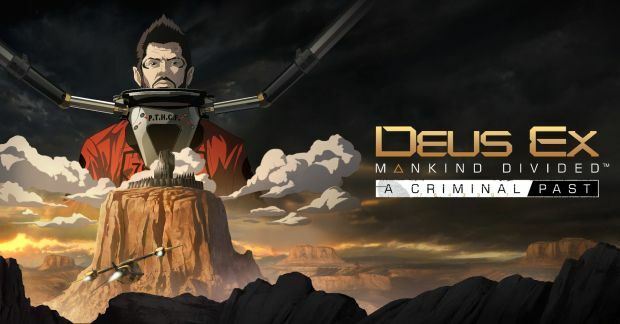 The DLC serves as a prequel to the main story in Mankind Divided with Adam Jensen going to a maximum security prison meant for augmented criminals. Jensen’s mission is fairly simple – retrieve some sensitive information from a fell agent who’s undercover and hasn’t been in touch for a while. Confronting his “darker side” will be a pivotal role to the story. A Criminal Past follows System Rift, the first story DLC, and will be out on February 23rd for Xbox One, PS4 and PC. Though the individual price is unknown, it will be included with the $30 Season Pass which includes all the current DLC. What are your thoughts on A Criminal Past and Mankind Divided in general? Let us know in the comments below and stay tuned for more updates closer to release.